It’s as prestigious as it looks. A gallant collection of gourmet delacies fill this gorgeous metal planter. 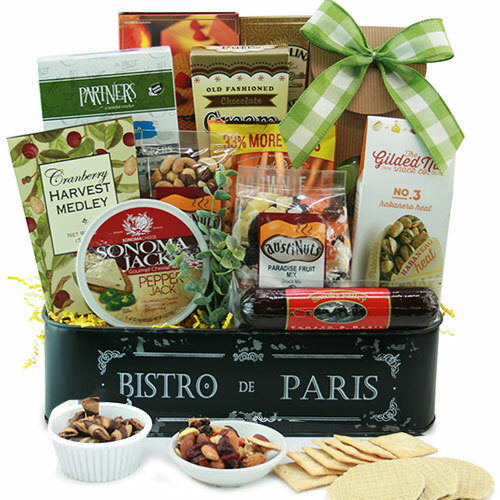 A perfect blend of cheese, crackers, and nuts partnered with a delicious cookies and sugary sweets.